The average national gasoline price increased to $2.88 despite falling demand and increasing supply. The national average for a gallon of regular unleaded increased 3 cents to $2.88 for the week ending Oct. 1, even though fuel demand fell and inventories grew over the same period. Gasoline demand fell 9 million barrels per day and inventories added 235.7 million barrels over the year, according to data from the U.S. Energy Information Administration. The average price at the pump has reached a level not seen since the middle of July, according to AAA. "The last quarter of the year has kicked off with gas prices that feel more like summer than fall," said Jeanette Casselano, a AAA spokesperson. "This time of year, motorists are accustomed to seeing prices drop steadily, but due to continued global supply and demand concerns as well as very expensive summertime crude oil prices, motorists are not seeing relief at the pump." The current price level is the most expensive for the start of October since 2014. It's 4 cents higher than a month ago and 32 cents above year-ago levels. States with the least expensive markets include Mississippi ($2.57), Alabama ($2.57), South Carolina ($2.58), Louisiana ($2.59), Virginia ($2.62), Arkansas ($2.62), Tennessee ($2.63), Texas ($2.63), Missouri ($2.68), and Delaware ($2.69). States with the biggest weekly price change include Florida (up 10 cents), Michigan (up 10 cents), California (up 8 cents), West Virginia (up 7 cents), Missouri (up 7 cents), Ohio (down 6 cents), Delaware (down 6 cents), New Mexico (+up cents), Iowa (up 6 cents), and Nebraska (up 5 cents). 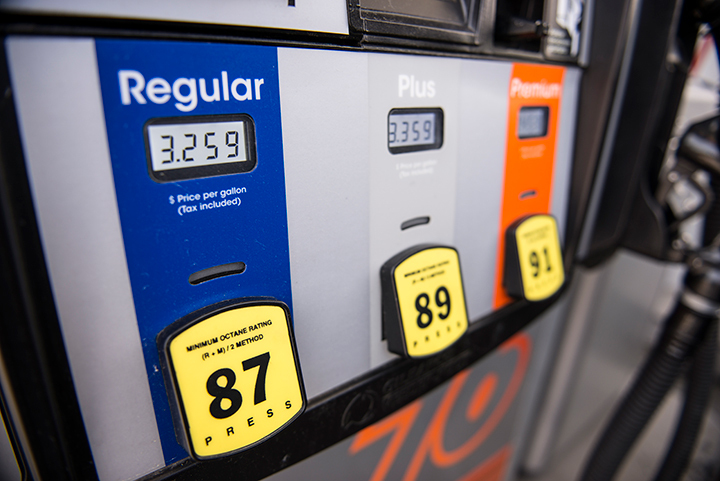 Meanwhile, the average price of a gallon of diesel increased 4.2 cents to $3.313 per gallon, which is 52.1 cents higher than a year ago, according to EIA data.